Professor Inderjeet Parmar read Sociology at the London School of Economics, and Political Sociology at the University of London. His doctorate, from the University of Manchester, was in the fields of political science and international relations. Prior to appointment at City, University of London in 2012, he taught at the University of Manchester (1991-2012), mainly in its Department of Government which, between 2006-09, he served as Head of Department. Professor Inderjeet Parmar is past president, chair and vice chair of the British International Studies Association. 2013 – 2014 he was Visiting Research Scholar at the Empires Research Community, Princeton University, USA. Professor Parmar appears regularly on numerous TV and radio stations, including Al Jazeera, CNN, BBC, RT, TRT. 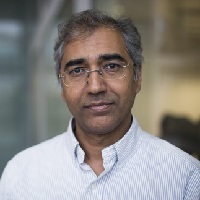 Professor Inderjeet Parmar's research interests focus on the history, politics and sociology of Anglo-American foreign policy elites over the past 100 years, specifically embodied in organisations such as philanthropic foundations, think tanks, policy research institutes, university foreign affairs institutes, and state agencies. His latest book, Foundations of the American Century: Ford, Carnegie, and Rockefeller Foundations in the Rise of American Power was published in 2012 by Columbia University Press, and reissued in paperback in 2015. The Chinese language edition is due to be published by Peking University Press in late 2017. He is currently working on a long-term research monograph critiquing the post-1945 liberal international order – Presidents and Prime Ministers at War: Race, Empire and Elitism in Anglo-American Wars from Korea to the Wars on Terror. He has authored 3 books and edited or co-edited numerous books and journal special issues, and dozens of book chapters and articles. Currently supervising theses on the American elite and the war on Iraq; on US-Latin American Military Elite Networks; and the Political Incorporation of Black America. Parmar, I., Miller, L.B. and Ledwidge, M. (2014). Obama and the world new directions in US foreign policy. ISBN 978-0-415-71522-5. Parmar, I., Miller, L.B. and Ledwidge, M. (2014). Introduction: Obama–promise, performance, prospects. ISBN 978-0-415-71522-5. Parmar, I. (2013). Barack Obama and the Myth of a Post-racial America. Ledwidge, M., Verney, K. and Parmar, I. (Eds. ), Routledge. ISBN 978-0-415-81393-8. Parmar, I. (2012). Foundations of the American Century. Columbia University Press. ISBN 978-0-231-14628-9. Parmar, I. (2011). International Politics, American Power and Identities in the Age of Obama. London: Palgrave. Parmar, I. and Cox, M. (Eds. ), (2010). Soft Power and Us Foreign Policy. Taylor & Francis. ISBN 978-0-415-49203-4. Parmar, I., Miller, L. and Ledwidge, M. (Eds. ), (2009). New Directions in United States Foreign Policy. London, UK: Taylor & Francis. ISBN 978-0-415-77749-0. Parmar, I., Miller, L.B. and Ledwidge, M. (2009). New directions in US foreign policy. ISBN 978-0-203-87881-1. Parmar, I. (2004). Think Tanks and Power in Foreign Policy. Palgrave Macmillan. ISBN 978-1-4039-2103-1. Parmar, I. (1995). Special Interests, the State and the Anglo-American Alliance, 1939-1945. Psychology Press. ISBN 978-0-7146-4569-8. Parmar, I. (2017). CORPORATE FOUNDATIONS AND IDEOLOGY. In Baars, G. and Spicer, A. (Eds. ), The Corporation (pp. 434–447). Cambridge: Cambridge University Press. Parmar, I. (2017). How elite networks shape the contours of the discipline and what we might do about it. What's the Point of International Relations? (pp. 107–117). ISBN 978-1-138-70730-6. Parmar, I. (2014). Obama, wikileaks, and American power. Obama and the World New Directions in US Foreign Policy (pp. 243–257). ISBN 978-0-415-71522-5. Parmar, I. (2013). Postscript: The 2012 Elections: President Obama’s Establishment. In Parmar, I., Ledwidge, M. and Verney, K. (Eds. ), Barack Obama and the Myth of a Post-Racial America Routledge. PARMAR, I. (2011). American hegemony, the Rockefeller Foundation, and the Rise of Academic International Relations in the US. In Guilhot, N. (Ed. ), The Invention of International Relations Theory (pp. 182–209). New York, USA: Columbia Press. ISBN 978-0-231-15267-9. PARMAR, I. (2010). Challenging Elite Anti-Americanism in the Cold War. In Parmar, I. and Cox, M. (Eds. ), Soft Power and Us Foreign Policy London, UK: Taylor & Francis. ISBN 978-0-415-49203-4. PARMAR, I. (2009). Soul Brothers? Blair, Bush and the compact between liberal interventionism and conservative nationalism. In Scott, P.M., Baker, C.R. and Graham, E.L. (Eds. ), Remoralizing Britain? (pp. 205–222). London, UK: Continuum Intl Pub Group. ISBN 978-0-8264-2465-5. Parmar, I., Miller, L.B. and Ledwidge, M. (2009). Introduction. (pp. 1–2). ISBN 978-0-203-87881-1. PARMAR, I. (2008). A Neo-Conservative US Foreign Policy Establishment? K. Christie, ed., National Identity and US Foreign Policy in the 21st Century. In Kennet, C. (Ed. ), United States Foreign Policy & National Identity in the 21st Century (pp. 37–49). London, UK: Routledge. ISBN 978-0-415-46613-4. PARMAR, I. (2008). Combatting Anti-Americanism: American Foundations and Public Diplomacy During the Cold War and the War on Terror. In Higgott, R. and Malbašić, I. (Eds. ), The Political Consequences of Anti-Americanism Oxford, UK: Taylor & Francis US. ISBN 978-0-415-46391-1. PARMAR, I. (2007). American Government Responses to Anti-Americanism. Anti-Americanism Today (pp. 239–262). Westport: Greenwood Press. PARMAR, I. (2006). Anti-Americanism and the major foundations. In O'Connor, B. and Griffiths, M. (Eds. ), The Rise Of Anti-Americanism Abingdon, UK: Routledge. ISBN 978-0-415-36906-0. PARMAR, I. (2006). Conceptualising the American State-Private Network during the Cold War. In Wilford, H. (Ed. ), The US Government, Citizen Groups And the Cold War London, UK: Routledge. ISBN 978-0-415-35608-4. PARMAR, I. (2004). Institutes of international affairs. In Stone, D., Denham, A. and Garnett, M. (Eds. ), Think Tank Traditions: Policy Analysis Across Nations Manchester University Press. ISBN 978-0-7190-6479-1. PARMAR, I. (2000). The Law and Order Policy of the Labour Government. In Coates, D. and Lawler, P. (Eds. ), New Labour Into Power (pp. 207–220). Manchester University Press. ISBN 978-0-7190-5462-4. PARMAR, I. (1994). Chatham House, the Foreign Policy Process, and the Making of the Anglo-American. In Bosco, A. and Navari, C. (Eds. ), Chatham House and British Foreign Policy 1919-1945 London, UK: Lothian Foundation Press. ISBN 978-1-872210-02-5. Ledwidge, M. and Parmar, I. (2018). Clash of pans: pan-Africanism and pan-Anglo-Saxonism and the global colour line, 1919–1945. International Politics, 55(6), pp. 765–781. doi:10.1057/s41311-017-0105-1 . Wertheim, S., Tournès, L. and Parmar, I. (2018). The birth of global knowledge: intellectual networks in the world crisis, 1919–1939. International Politics, 55(6), pp. 727–733. doi:10.1057/s41311-017-0111-3 . Parmar, I. (2018). The US-led liberal order: imperialism by another name? International Affairs, 94(1), pp. 151–172. doi:10.1093/ia/iix240 . Parmar, I. (2017). The Legitimacy Crisis of the U.S. Elite and the Rise of Donald Trump. Insight Turkey, 19(3), pp. 9–22. doi:10.25253/99.2017193.01 . Parmar, I. and Ledwidge, M. (2017). "⋯ 'A foundation-hatched black': Obama, the US establishment, and foreign policy". International Politics, 54(3), pp. 373–388. doi:10.1057/s41311-017-0035-y . Ledwidge, M. and Parmar, I. (2017). Conceptualising and historicising the US foreign policy establishment in a racialised class structure. International Politics, 54(3), pp. 306–321. doi:10.1057/s41311-017-0034-z . Parmar, I. (2016). Carnegie and the Racial Order. Diplomatic History, 40(2), pp. 362–363. doi:10.1093/dh/dhv060 . Parmar, I. (2016). Racial and imperial thinking in international theory and politics: Truman, Attlee and the Korean War. British Journal of Politics and International Relations, 18(2), pp. 351–369. doi:10.1177/1369148115613657 . Parmar, I. (2015). The "Big 3" Foundations and American Global Power. American Journal of Economics and Sociology, 74(4), pp. 676–703. doi:10.1111/ajes.12115 . Parmar, I. (2015). The US asserts itself with Cuba thaw. World Review. Parmar, I. and Rietzler, K. (2014). American Philanthropy and the Hard, Smart and Soft Power of the United States. Global Society, 28(1), pp. 3–7. doi:10.1080/13600826.2013.850061 . Parmar, I. (2014). American Power and Philanthropic Warfare: From the War to End All Wars to the Democratic Peace. Global Society, 28(1), pp. 54–69. doi:10.1080/13600826.2013.848187 . Parmar, I. (2013). Presidential leadership and the creation of the American era. INTERNATIONAL AFFAIRS, 89(5), pp. 1358–1359. Parmar, I. (2013). The 'knowledge politics' of democratic peace theory. International Politics, 50(2), pp. 231–256. doi:10.1057/ip.2013.4 . PARMAR, I. (2012). Foundation Networks and American Hegemony. European Journal of American Studies, 1. doi:10.4000/ejas.9476 . Parmar, I. (2011). American power and identities in the age of Obama. International Politics, 48(2-3), pp. 153–163. doi:10.1057/ip.2011.10 . PARMAR, I. (2010). Obama's Foreign Policy: Cautious But Continuous? E-Pol. PARMAR, I. (2010). Plus Ca Change? American Foreign Policy under Obama. Political Insight, 1(1), pp. 14–16. Parmar, I. (2009). Foreign policy fusion: Liberal interventionists, conservative nationalists and neoconservatives - The new alliance dominating the US foreign policy establishment. International Politics, 46(2-3), pp. 177–209. doi:10.1057/ip.2008.47 . PARMAR, I. (2006). Challenging Elite Anti-Americanism and Sponsoring Americanism in the Cold War: US Foundations, Henry Kissinger's Harvard International Seminar, and the Salzburg Seminar in American Studies. Traverse, 1, pp. 116–129. Parmar, I. (2005). 'I'm proud of the British empire': Why Tony Blair backs George W. Bush. Political Quarterly, 76(2), pp. 218–231. doi:10.1111/j.1467-923X.2005.00674.x . Parmar, I. (2005). Catalysing events, think tanks and American foreign policy shifts: A comparative analysis of the impacts of Pearl Harbor 1941 and 11 September 2001. Government and Opposition, 40(1), pp. 1–25. doi:10.1111/j.1477-7053.2005.00141.x . Parmar, I. (2004). '...Another important group that needs more cultivation': The Council on Foreign Relations and the mobilization of Black Americans for interventionism, 1939-1941. Ethnic and Racial Studies, 27(5), pp. 710–731. doi:10.1080/0141987042000246318 . Parmar, I. (2002). 'To relate knowledge and action': The impact of the rockefeller foundation on foreign policy thinking during America's rise to globalism 1939-1945. Minerva, 40(3), pp. 235–263. doi:10.1023/A:1019572526066 . PARMAR, I. (2002). American Foundations and the Development of International Knowledge Networks. Global Networks, 2(1), pp. 13–30. PARMAR, I. (2002). Anglo-American Elites in the Inter-War Years: Idealism and Power in the Intellectual Roots of Chatham House and the Council on Foreign Relations. International Relations, 16(1), pp. 53–75. PARMAR, I. (2001). Resurgent Academic Interest in the Council on Foreign Relations. Politics, 21(1), pp. 31–39. PARMAR, I. (2000). The role and impact of the Rockefeller Foundation on Foreign Policy Thinking during America's rise to globalism. .
Parmar, I. (2000). Engineering consent: The Carnegie Endowment for International Peace and the Mobilization of American public opinion, 1939-1945. Review of International Studies, 26(1), pp. 35–48. Parmar, I. (1999). The Carnegie Corporation and the mobilisation of opinion in the United States' rise to globalism, 1939-1945. Minerva, 37(4), pp. 355–378. Parmar, I. (1999). "Mobilizing America for an internationalist foreign policy": The role of the council on foreign relations. Studies in American Political Development, 13(2), pp. 337–373. PARMAR, I. (1995). The Issue of State Power: A Case Study of the Council on Foreign Relation. Journal of American Studies pp. 73–95. PARMAR, I. (1992). Chatham House and the Anglo-American Alliance. Diplomacy and Statecraft pp. 23–47. Parmar, I. (1991). Katherine Burk, Morgan Grenfell, 1838–1988 (Oxford: Oxford University Press, 1989, £20). Pp. 348. ISBN 0 19 828306 7. Journal of American Studies, 25(02), pp. 320–320. doi:10.1017/s0021875800024233 . PARMAR, I. (1990). The Foreign Policy of the FBI [Federation of British Industries]: The Anglo-American Alliance, 1938-1945. Business Archives pp. 42–55. Parmar, I. Transnational elite knowledge networks: Managing American hegemony in turbulent times. Security Studies. Parmar, I. Global Power Shifts, Diversity, and Hierarchy in International Politics. Ethics and International Affairs.